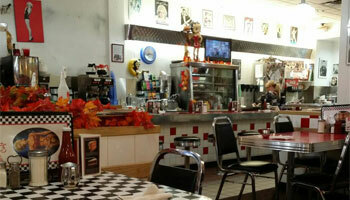 Broadway Café in Saskatoon has daily breakfast specials—Traditional Breakfast during the week for $7.95. We also offer takeout so you can enjoy our homemade menu items on-the-go. We are known for taking well-known foods and adding our own flair to them. For a truly vintage diner experience, we offer counter seating with a view into our kitchen, as well as spacious tables in our dining room. Many of our friendly staff members have been with us for several years, so you’ll have experienced individuals preparing and serving your food. With generous portions, original recipes, and welcoming service, we’re confident you’ll have a memorable experience in our restaurant. Stop in or call us today—we look forward to serving you.